Swedish slots specialist Quickspin is proud to announce that its promotional tool Tournaments has delivered measurable and impressive results less than six months after the release. The introduction of Quickspin Tournaments resulted in a few leading operators increasing their GGR between 60% and 100% compared to the same period the month before the Tournaments. The numbers speak for themselves. 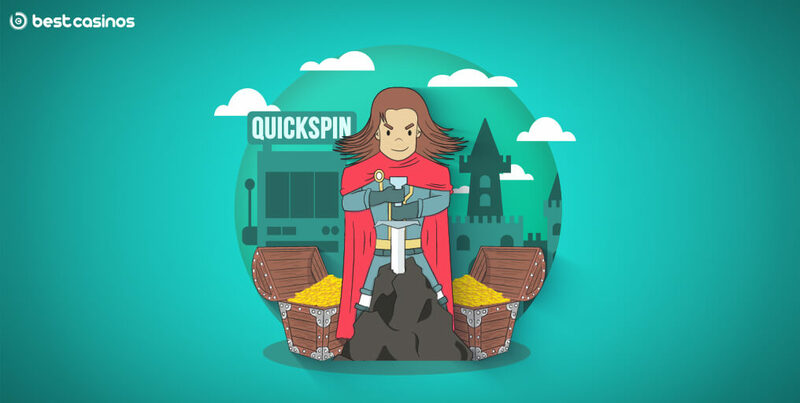 Currently, some of the games available for Quickspin Tournaments include player favourites, such as Sakura Fortune, Big Bad Wolf, Eastern Emeralds, Spinions, but the company intends to introduce its complete Quickspin Promote Catalogue. Symbolically, Tournaments will be fully available for their upcoming game Ticket to the Stars, due to be released today on 12 February. Quickspin Tournaments are just one of the six gamification tools in their ever-expanding Promote catalogue available across all markets. Achievements Engine and Achievements Races underlined that flair for implementing gamification and Tournaments were a natural extension of their expertise. Tournaments create a ground-breaking experience where rewards and prizes are based on game events and not just win/turnover oriented tournaments. Joey Hurtado, Head of Gaming at Betsson Group, claims Quickspin’s new tournament tool enabled them to promote their fantastic portfolio of games. Quickspin believes their gamification approach is the future of the industry and they’re proud they are at the forefront of this trend. In December 2018, they have launched Challenges, both an engaging and immersive functionality that will add another layer of entertainment on top of the usual gaming experience. Challenges is basically a mini-game displayed on top of each slot, with the extra level of gameplay fueled by the outcome of spins from the game below. First launched on Dwarfs Gone Wild and Goldilocks, Challenges follow in the same footsteps as Tournaments and fit the company’s wider gamification strategy.